I am not ready to say goodbye to summer fun and lazy days on the beach just yet, but I am keeping my eye on fun and practical back to school free printables so I have the perfect collection of printable tags and stickers, bookplates, bookmarks, routine posters, chore charts and 1st day of school photo props ready to go when the faithful day does arrive. 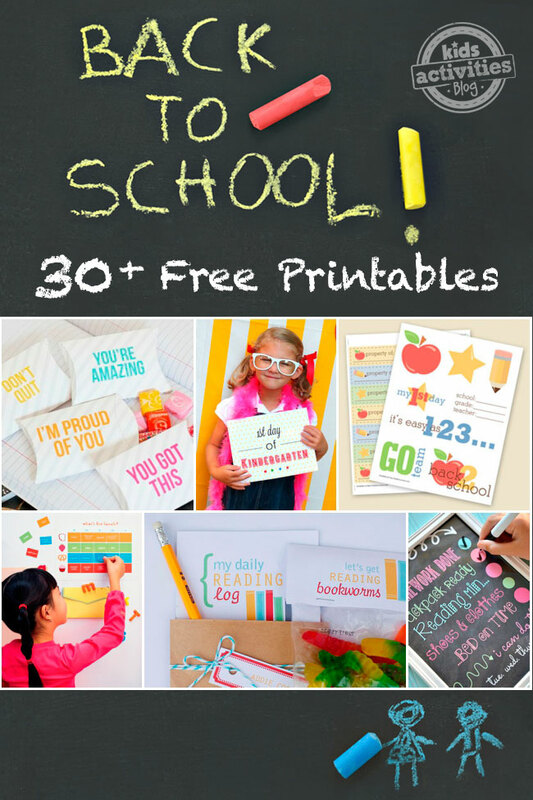 This handpicked collection of back to school printables has everything you need for your little one’s first day at school and older children returning to school for another year. We will be continuing to add to this collection with more free school printables from KidsActivitiesBlog. The Educators Spin On It have put together a special Going to School  book and printable poem to help ease any of those 1st day nerves for parents and kids. A really fun printable for kids to write on when they head back to school to reminisce about their summer and everything they did. Previous Post: « Back To School Giveaway Pack Worth $500!